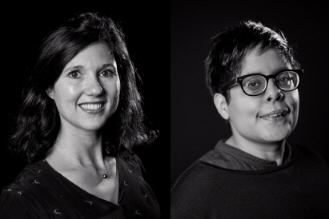 Programmatic sample platform Lucid has announced two new hires in the EMEA region: Julie Tebeka as Business Development Director, Southern Europe and Ren Kainth as Business Development Director Audience, EMEA. Lucid says the hires reflect the European release of its Audience product set, extending its advertising effectiveness solutions beyond the US market. Tebeka, who will lead the firm's expansion into Spain, France and Italy, brings twelve years of experience in setting up and managing businesses in new regions, most recently from Nielsen where she was Senior Account Director for UK and Germany. Kainth will oversee the European release of Lucid's Audience tools, which measure audience quality and campaign impact. She brings more than ten years' experience in digital advertising, managing partnerships across brand marketers, leading media agency groups, trading desks and publishers at firms including Telemetry, Telaria and Taboola. Her expertise includes ad serving, verification and branding in video advertising. Lucid's VP EMEA Emel Mohammadally comments: 'Julie's experience will be invaluable as we tap into these key markets in Southern Europe. Lucid's presence in the region is rapidly increasing, and her role is vital to harnessing this growth. Ren excels at bringing new, creative digital solutions to market in the AdTech space. With her experience in driving new business and managing commercial partnerships, the Lucid Audience offerings will thrive in EMEA'. Lucid is headquartered in New Orleans with offices in London, New York, Gurgaon, and Sydney. Web site: www.luc.id .